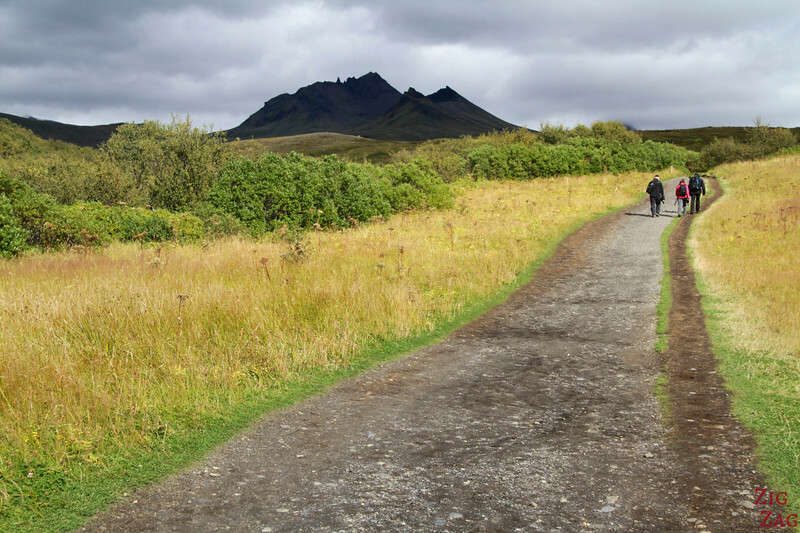 Want to stop driving around Iceland and walk for a while? 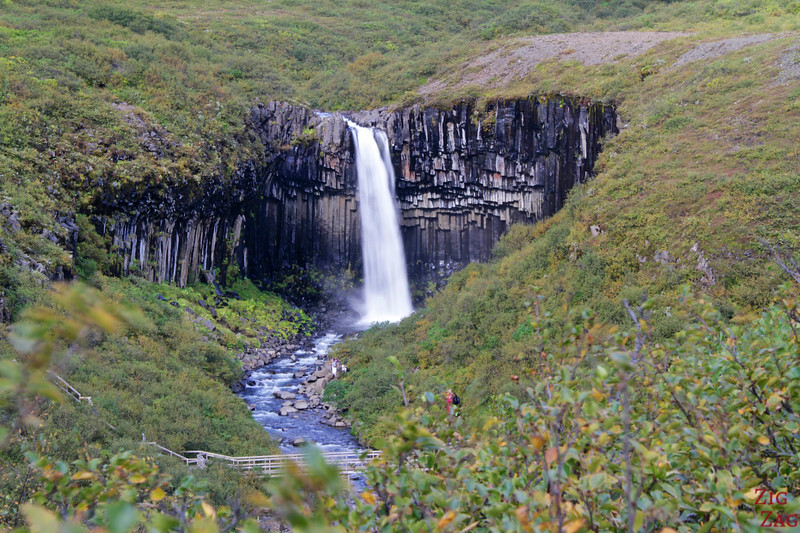 Discover the Svartifoss waterfall hike that leads you to the black waterfall in its amphitheater of basalt columns. 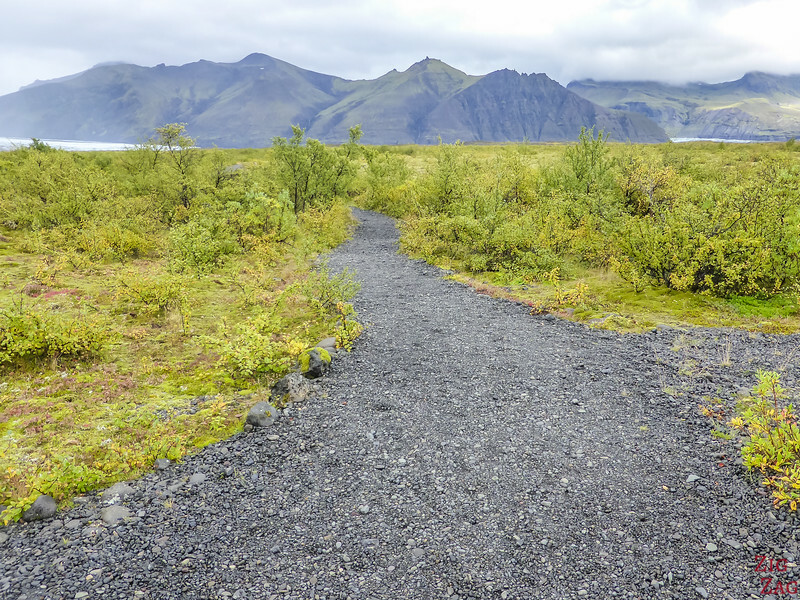 The walk to Svartifoss Iceland also offers nice views towards the sea and takes you to the another Skaftafell waterfall of Hundafoss. Below is my guide to help you plan your visit. 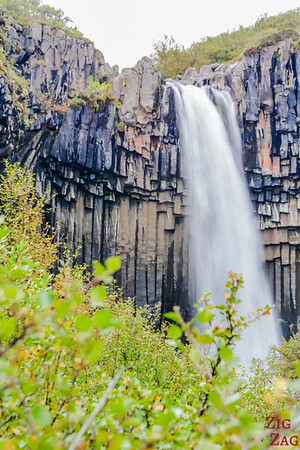 Located near the South Coast of Iceland, the Svartifoss waterfall offers an intriguing shape : the water of river Stórilækur drops 20m inside an amphitheater of geometrical basalt columns (30m wide). 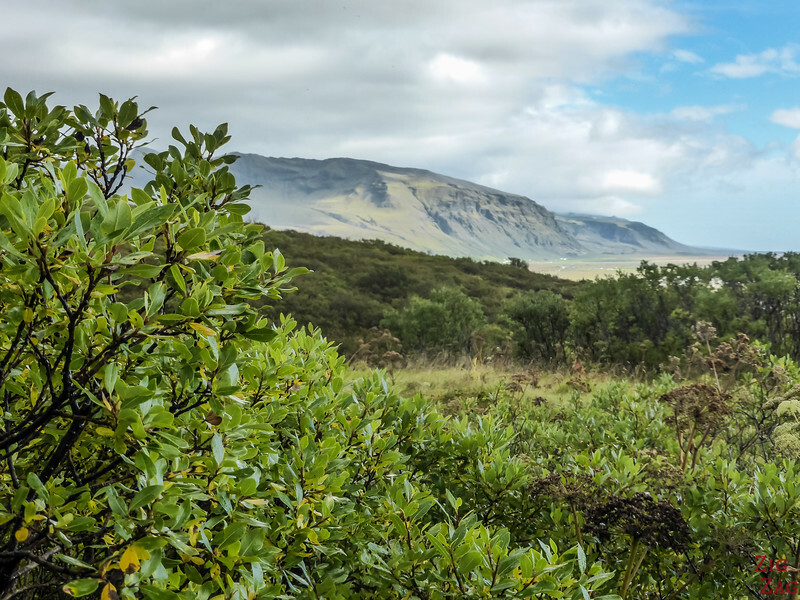 The trails allows you to walk quite close and admire this geological wonder. Some say that it inspired Icelandic architecture, such as the Reykjavik cathedral. 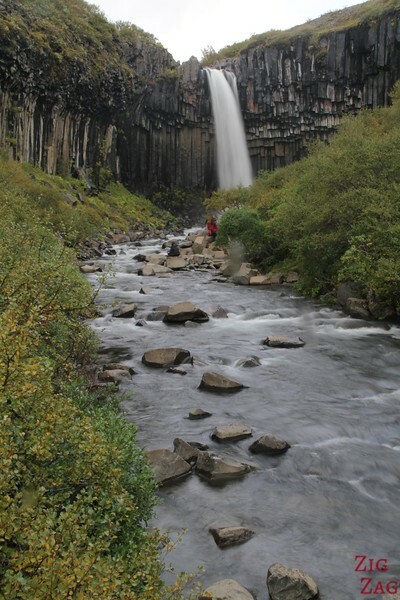 The Svartifoss name means the Black Waterfall because of the black basalt columns. Svartifoss is located in the Skaftafell National Park. If you look at a map of Iceland, you will notice a huge section with a glacier called Vatnajokulsthjodgardur. 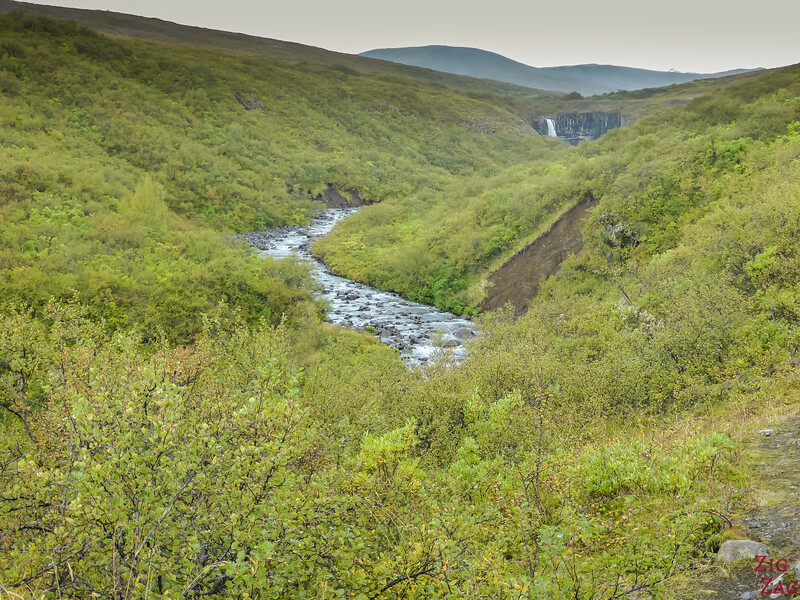 Skaftafell merged into that major national park in 2008. It is situated on its South side. 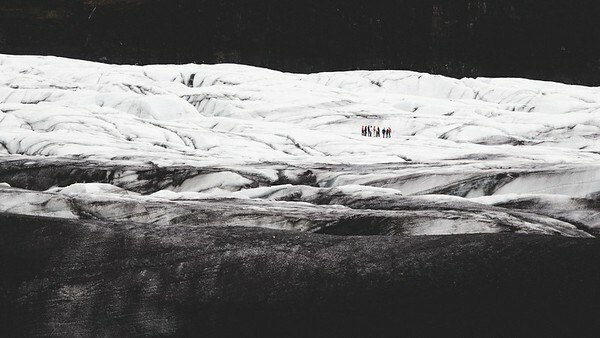 Its landscape is fascinating with a glacier tongue, waterfalls and views over the flat black sand area at its foot. Skaftafell visitor centre - Approximately 67 km east of Kirkjubæjarklaustur on the Ring Road or 54 km west of the icebergs at Jökulsárlón, turn north on Route 998 (Skaftafellsvegur) and continue 1.5 km to the visitor centre parking. 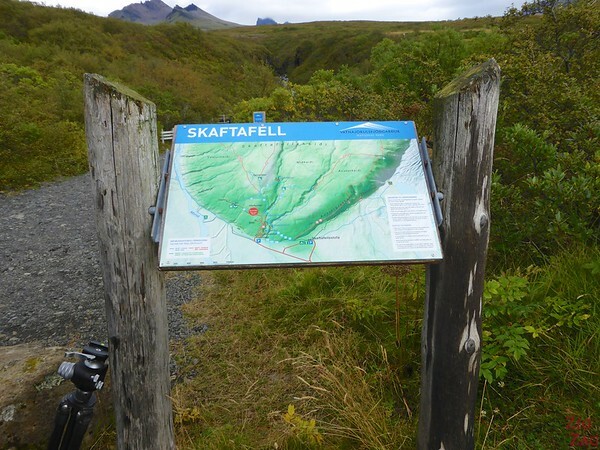 The Skaftafell visitor centre has many interesting displays and sells a hiking map. But if you are only doing the Svartifoss walk, do not worry it is properly indicated. 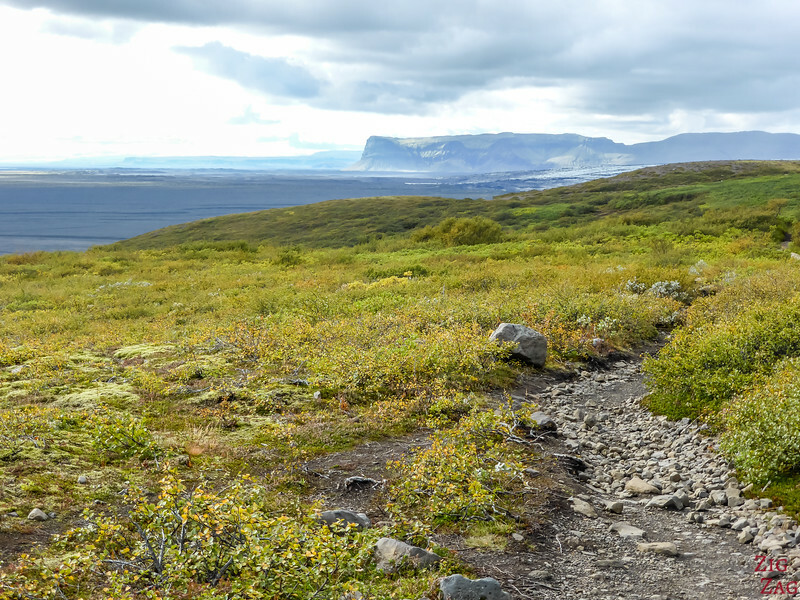 They can show you more hiking trails in Skaftafell - visit the Vatnajokulsthjodgardur national park website. There is no way to reach the waterfall by car. Some walking is involved. 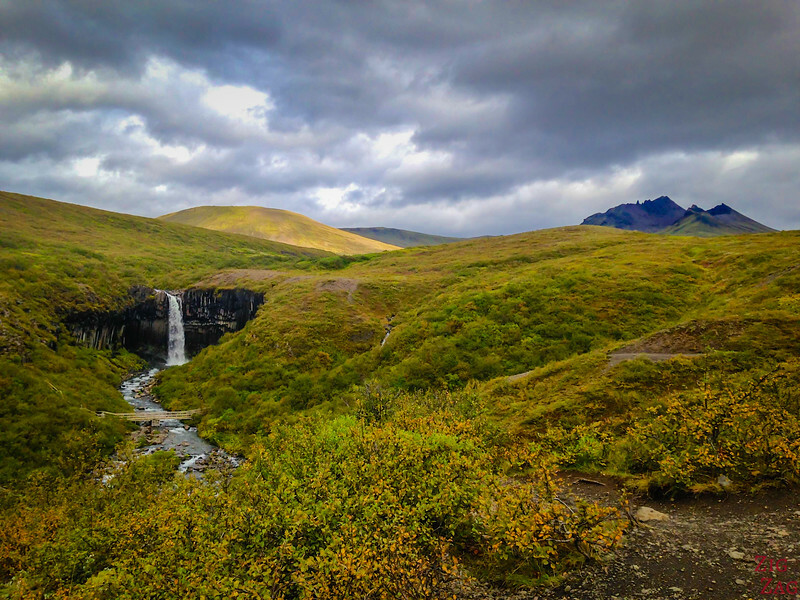 You start the hike from the Skaftafell Visitor center carpark. 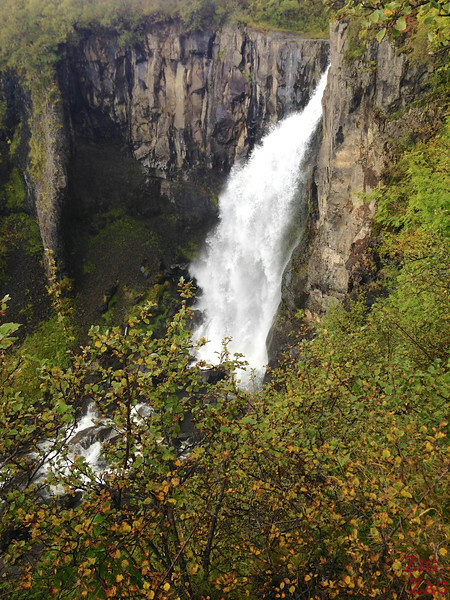 ** Currently closed** You can reach an upper carpark closer to Svartifoss to avoid the major climb of the hike to Svartifoss there is an alternate car park. Continue driving on the park road west past the Visitor Center. The road narrows into an almost single-lane road and climbs steeply up until reaching the small car park. Short Svartifoss hike - ** Currently closed** - From the alternate car park mentioned above, it is 1.5km return. The beginning is easy but at the end to get closer there are many steps. The first part of the hike is quite steep and a bit slippery, especially after rain, so be careful in both directions. I am sorry I must have been too focused on walking and I did not take any pictures of that. After the steep section of the hike, it is still not over. Then I walked down to the foot of the waterfall, looked at it from the bridge. Many photographers come to photograph this waterfall and we had to take turns aspart of the bridge does not have a good angle. As you can see here the basalt columns are more important at the top of the fall. This is quite surprising. The setting is really impressive. Like all basalt column formations, Svartifoss was formed by a volcanic eruption, when the lava flow cooled down at a slow pace becoming rock. With changing temperatures, the hard rock contracts and fractures. Since the lava is warmer at the bottom, the fracture lines go down as the lava cools down, creating the vertical columns. The water is fed by meting glacier via River Storilaekur. 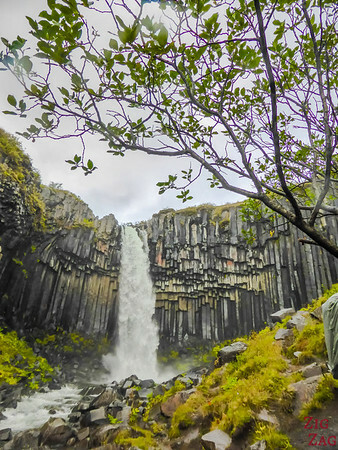 You can learn more deeply about the geology of basalt columns in general in this article. I have read thousands of years ago. But I am sorry, I can't seem to be able to find sources to corroborate. 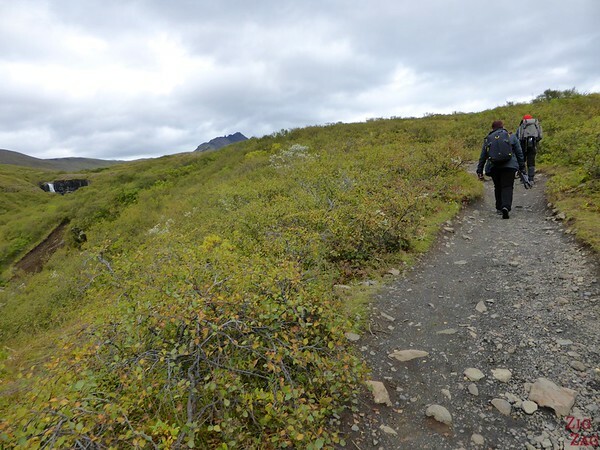 How long is the hike to Svartifoss? Officially it is 45min one way, but I would plan for a bit longer as a section is quite steep. Plus you want to take your time to admire the waterfall from various angles. So I would plan 3h for the whole hike and visit. Want to properly ask questions to locals - Check out here to listen to the pronunciation of Svartifoss. It is quite surprising. 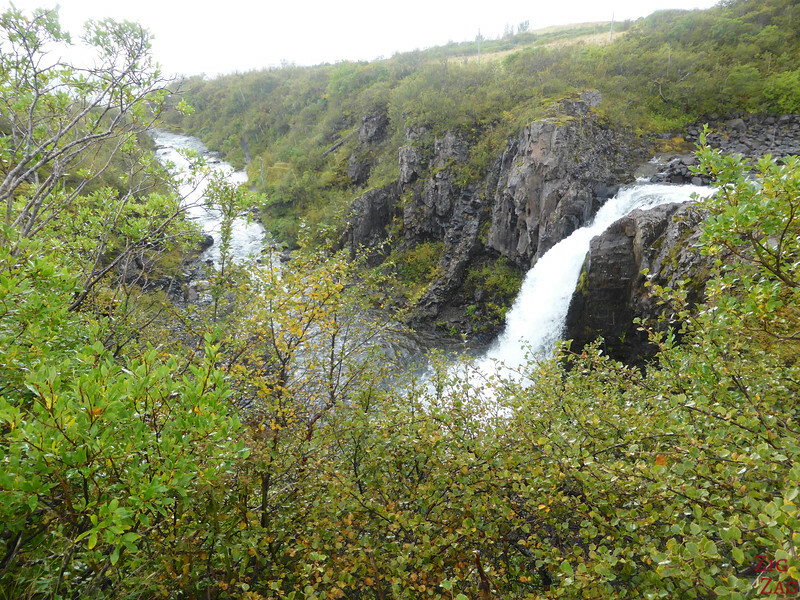 And at the top of the steep portion of the trail, you can admire the waterfall of Hundafoss. You can hear it loudly before you see it. There are signs, so don't worry, you won't miss it! I am sorry I did not take many sections of this part of the Svartifoss waterfall hike. I was quite tired. The trail was rocky and steep in some sections. 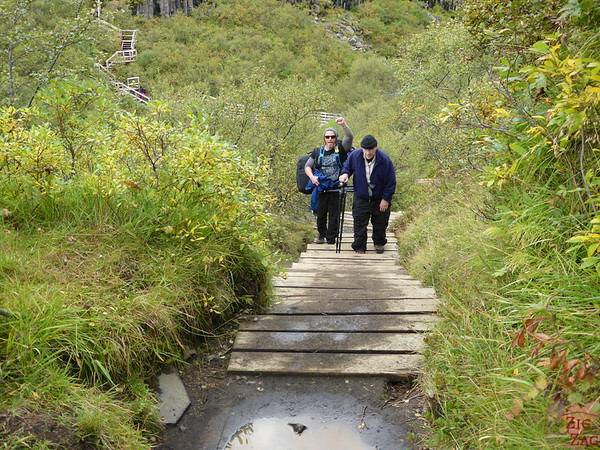 With difficulty and help, our 70 year old co-traveler, managed to go down, so it is not too difficult either. Do you think this is worth the hike? The upper parking lot is now closed. May want to revise your post. Thanks.